With actual “person to person” communication becoming a rarity these days, everything seems to be done by robots or people in foreign countries that cannot speak the language of the majority of the customer base of the companies they “represent.” Calling the cable company? I did once, was on the phone for over an hour, I even had to charge my cell phone in the process. Only to speak to “Ricky” who spoke little or no English and in the end, did not help me. It is no wonder we have no idea what or who to believe anymore! YOU know this information now and don’t have to become a victim. Tell your friends, share this post and follow us on Facebook. Technology is not to be feared. We just want to help you in understanding and to use it to your advantage! Don’t be fooled and remember, breathe. Back in the late 60’s, the Beatles blew the lid off of this “thing” called Meditation. They met this man, Maharishi Mahesh Yogi and learned about Transcendental Meditation and if you were paying attention to what the Beatles were doing at the time, at best it seemed weird and worst it seemed sorta creepy. What is happening with these musicians? This and Woodstock would certainly make a person stop and know something new was going on! There is proof that meditation actually CHANGES how your brain responds. Psychology Today talks about this in great detail. But the important thing isn’t how long you meditate, if you sit cross legged or make funny chant sounds that scare the dog, it is that you START. Anywhere. This blog focuses on how to make technology work for you. This post is no different. 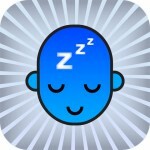 There are many apps available that you can download many for FREE to start Meditating. Using a “Guided” type first was most helpful when I started. I have written about Andrew Johnson before, he has great apps and downloadable audio files for relaxation of all types. There are also other free ones, in both the Apple App and Google Play Stores for your phone or mobile device. Latest one I am trying is “Guided Journey,” you can pick the setting (like the beach or forest) and the time that you would like to Meditate: 1 minute to :59 Minutes. The sounds of the setting you pick (waves, etc.) and a very sweet voice “guides” you through a visualization that helps focus you aw ay from all the jumbled thoughts you have and onto something else to help you clear your head. Just follow along. It is that easy. Start with short intervals and try to sit at the same time(s) during the day. I started with 2 minutes, twice a day for the first week. The second week I tried 4 minutes and so on. Do what works for you. I “sit” in the morning, first thing still in my PJ’s and at night after I am ready to go to bed, but before I am in bed. I also have used these apps when I was in a stressful situation, I have my phone with me so when I was waiting in a waiting room while my Mom was in the Operating Room. It was a great way to stay calm and feel fresh and focused. Then if you really get into it, you may want to start meditating in a group, but for now, just START. I am a big believer in Meditation for just about everything. Great option to try before turning to medication. If you have any questions, like always please drop me an email and I am happy to help. Let’s face it, we all do it. Sit in front of the TV, space out. Sitting at a Doctor’s office or picking up someone, waiting. Twiddling your thumbs. How about using that time productively? Puzzles, Crosswords, Sudoku like the books we bought in the Drug Store to play at camp, have really improved these days. If you have a smartphone or a tablet, you can occupy your time as well as exercise your brain like never before. And the possibilities are endless, there are free ones and there are games that you pay a subscription fee to use. But I always try the free ones first to see if I will really enjoy them. I don’t mind paying for something I really am going to use. If you have never had a brain injury or a stroke you may think this is silly. But if you have or you have been the caregiver of someone you know just how frightening this can be. All of a sudden those things you could do, you can’t. One of the outcomes with my Dad, was his ability to read and do the JUMBLE puzzle. He could read to himself, but he could not read out loud to me. He also had trouble with word finding. In order to get better, there are lots of exercises that were very simple-but tiring to get the brain to work again. The more you exercise your brain today the better fit your brain is to handle some of the bumps in the road that may cause stroke and memory loss the list goes on from bad to worse. Also, as a population, we aren’t using our brains the same way anymore and if you are retired, it is possible your interactions with the outside world are different also. All of this causes your brain to slow down, get out of shape. Subscriptions (paying a little each month), may make you nervous but if you are serious about mental fitness, want to keep track of how you are doing, then a subscription site is worth considering, many sites allow for family plans. You may play the same games over again and watch your progress. This is also helpful information for sharing with your Doctor. Manufacturers also consistently introducing new games to try. For the price of one movie ticket a month there may be an option out there for you. AARP – whether you are a member or not has free brain games and here is a link. CNN- even has a free game area here. Lumosity – Brain Games and Brain Training is the one you have heard of has a free evaluation tool and a subscription option. Rosetta Stone has Fit Brain for focus, memory and brain speed also has a “try before you buy” option. 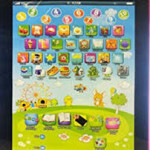 There are lots more if you go to the App Stores, Apple, Google or Amazon and browse around. Get them on your mobile device, keeping your brain and memory fit is as close as your purse or briefcase! Feeling Like Your Head’s In The Clouds? Techno-Trapped at 50 North is proudly powered by WordPress | Entries (RSS) and Comments (RSS).